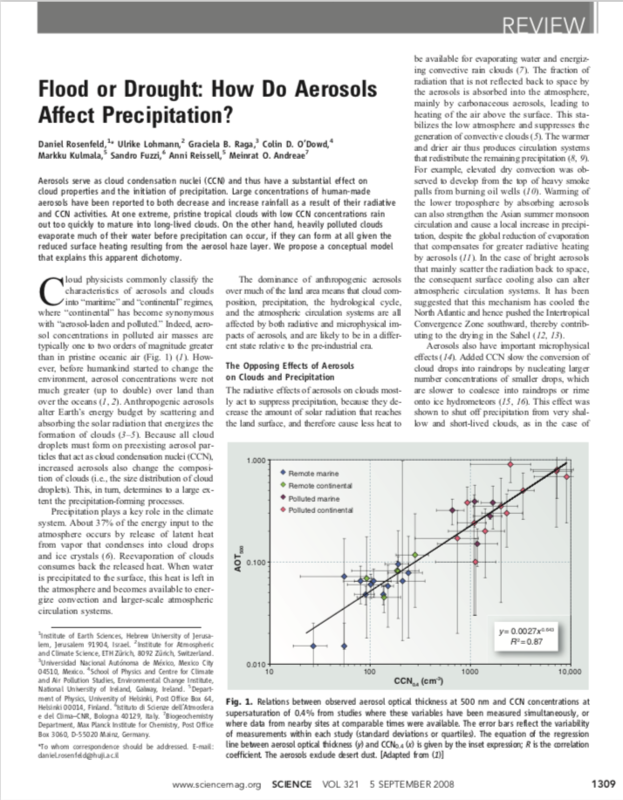 The radiative effects of aerosols on clouds mostly act to suppress precipitation, because they decrease the amount of solar radiation that reaches the land surface, and therefore cause less heat to be available for evaporating water and energizing convective rain clouds (7). The fraction of radiation that is not reflected back to space by the aerosols is absorbed into the atmosphere, mainly by carbonaceous aerosols, leading to heating of the air above the surface. This stabilizes the low atmosphere and suppresses the generation of convective clouds (5).